Petal Promenade, Oh So Real! The photographs in the Petal Promenade Designer Series Paper is more than just a look—real flowers were used! 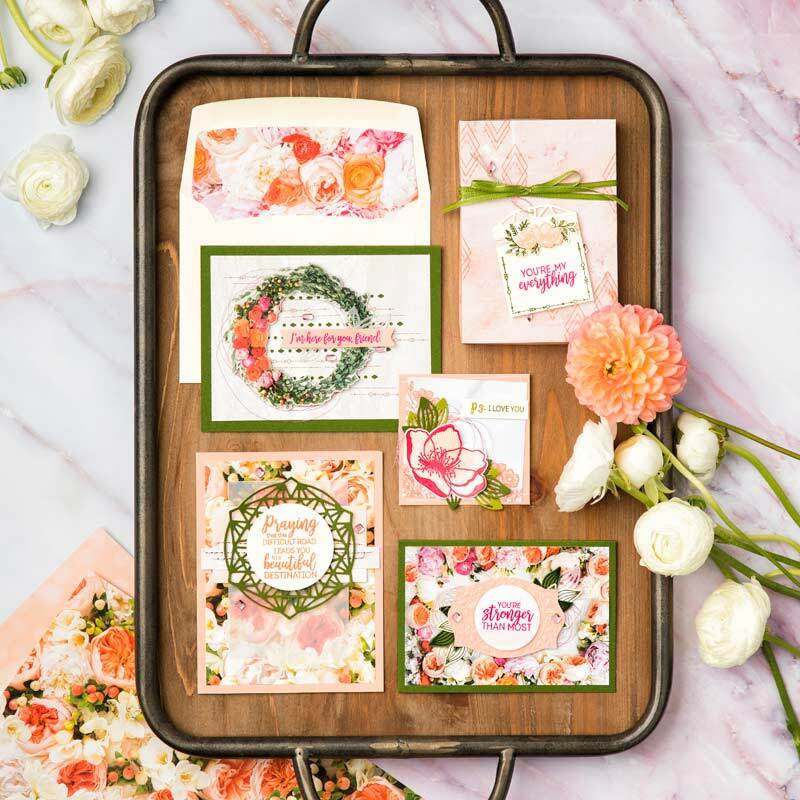 See how the talented Product Designer and Specialist, Kaitlyn Zumbach, used floral arrangements with technology to design this paper. You’ll be blown away by the entire process! Here’s a closer look at the patterns in this set, click on each image for a closer look. Petal Promenade is not the only awesome Designer Series Paper in the catalog, there are many more! Petal Promenade…so many options…so pretty! Don’t forget to use my June Hostess Code, all online orders $50+ will receive a Free Simply Shammy (147042) during the month of June! Orders $150+, please do not use Hostess Code to receive your Stampin’ Rewards. You will automatically get the Free Simply Shammy, no need to use Hostess Code. Scavenger Hunt – 2018 Annual Catalog!